If you want to make money blogging there are several ways of monetizing a blog. For many people, blogging is their sole means of income – they are known as professional bloggers. For others, their blog provides them with extra spending money. Here is a guide on how to monetize your blog and make money from blogging. Google AdSense is a way of placing adverts on your blog and getting paid for every time a reader clicks on an advert. Go to the Google website and check out the search results for a keyword. Depending on the keyword, you will see some adverts above and perhaps also below the listing of 10 web pages related to that keyword. 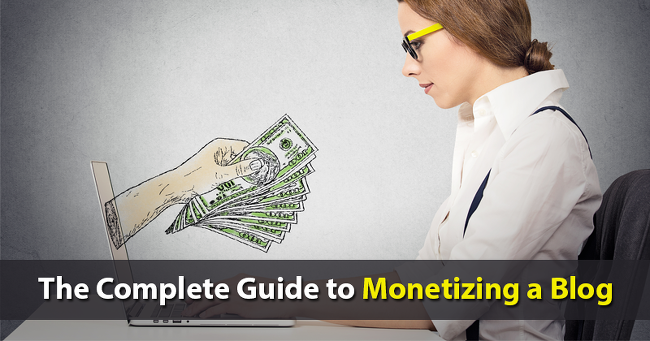 Go here to learn and get familiar with different ways to monetize your project. These will have the text ‘Ad’ showing in a small yellow box below the title line of each advert. These are what are known as Pay Per Click (or PPC) adverts, where the advertiser pays Google every time somebody clicks on the advert link. Each click can cost an advertiser from a few cents to tens of dollar. AdWords has Changed: Not so long ago, the Google Adword program placed its adverts to the right of the organic search results, but that has now changed They now appear above and below the main listings. Instead, you might now see Product Listing Adverts (PLA) on the right. These are ads for specific individual products with pricing rather than for product groups and services in general. Semantic Analysis Robots: The Google AdSense program enables you to make money by having these adverts placed on your own web pages by Google. When you join the free Google AdSense program, Google sends a robot to the page you want the ads to show, and uses semantic analysis to determine the theme of that page. It then places adverts on that page that are relevant to that assessment. Great Way to Make Money Blogging: You can choose the design and size of these adverts: they can be text ads or box ads and you get to choose the dimensions and layout of your adverts to suit the design of your web page. You can even change their colors. However, you cannot choose the actual adverts – Google fills the advertising space automatically using the semantic analysis algorithm mentioned above. You get paid a proportion of the cost per click by Google every time a visitor to your blog clicks on an advert. This is a great way to make money blogging – you need do no more once your ad boxes are running than check your payments every month! You can place multiple ad blocks on every page on your blog if you wish. Google automatically fills these blocks according to its semantic analysis of that page. Some people make a living just from AdSense. But – Be Honest: Never try to cheat Google!! If you click your own adverts, get friends to do so or pay for people to click all the ads on your page you will banned for life! Google can trace the source of every click. Once banned there is practically no chance of being allowed back in. This is to protect Google’s advertisers from spammy clicks that cost them money. Some individuals, or even businesses, are willing to pay you for publishing their posts on your blog. You will need a good following on your blog before this would be offered, but it can be another way how to make money blogging. There are sites online that specialize in bringing bloggers into contact with potential advertisers. One example is PayPerPost that provides bloggers with a list of companies willing to pay for reviews published on their blogs. There are others if you look online. The bigger your readership the more you are likely to be paid for doing this. It’s important that you only do this for companies or products that relate directly to your blog, or Google could drop you in the rankings. There are several ways in which to do this without it being an obvious ploy. You could include the paid review alongside reviews of similar products or services, naming the paid option as the best of the bunch! You get paid for advertising the product, not for just allowing the post on your site. That means you must also publish a link back to their site. If you enter into an advertising agreement of any kind, other than PPC or CPA adverts, then you should make sure to state a term for the advert – say monthly. |If advertisers want just one showing on a post that remains for the lifetime of the post, then you can negotiate a higher fee. AdSense and CPA are two ways of monetizing a blog with adverts. Another way is to sell advertising space directly to advertisers. You can publish adverts in the form of banner ads or text adverts provided by the advertiser or even provide positive reviews of websites and products. You charge according to the number of visitors to your blog. Your average monthly, or maybe even your daily readership, will the basis on what your advertiser is willing to pay for space on your blog. Charges range widely, though $20 – $100 monthly is not excessive, according to your readership and Google ranking. This is not normally an option for new blogs – you would normally start with AdSense and CPA adverts. You could begin to think about direct advertising once your blog is mature enough, with at least a Page 2 listing on Google for one of your major keywords. Affiliate marketing is a way to make money by selling products for a percentage of their price. You are fundamentally working as an online salesperson on commission. 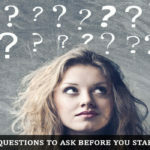 According to the posts on https://stellarseo.com/link-building-services/ , The easiest type of products to begin with are electronically deliverable, such as software and eBooks. However, you can also make good money by selling hard goods and having them delivered directly from the supplier. In many cases, orders can be delivered and payment received automatically without your personal involvement. Once you register as an affiliate, you will be given links to place on your blog. People click, decide to order and make payment. All this can be carried out by an autoresponder which takes the order, takes payment, passes it to your account and sends a receipt and the product to the buyer. Go to bed and wake up so many dollars richer! You can earn around 50% of the selling price of such products. Hard goods requiring physical delivery do not pay so well, but you still have no work to do other than place the advert on your blog posts. The rest is passed on to the seller who delivers, accepts payment and then pays you. Commission here is normally single figures – but again it’s all money and you do nothing but publish the advert with the link. Dropshipping: Dropshipping is form of online marketing of hard goods where you advertise products on your blog. When a customer orders a product, you order it from the manufacturer/wholesaler who then delivers the product to the customer. You get invoiced by the wholesaler and the customer pays you the price you are selling at. Creating a List: If you generate a list of people interested in your blog and what it offers, you can collect their contact details (name and email address0 and regularly keep in touch with them. Sign up with an autoresponder system such as GetResponse, AWeber or MailChimp and create a subscription form. Place the form on your Home Page or sidebar, offer some incentive to register (such as a free report, eBook or video) and build a list. Send the entire list regular emails with suggested products you are affiliated with and you can make money with a blog according to the size of your list. The autoresponder will send your emails to an entire list or to selected members of it. Affiliate Sites: there are services available online that specialize in affiliate programs. Some examples are CJ Affiliate (formerly Commission Junction), Rakuten (formerly Linkshare) and ShareASale. These all offer thousands of affiliate programs, including Fortune 500 companies. If you focus on one type of product simple Google ‘Affiliate forex products’ or ‘affiliate weight training products’ to find the available products or businesses that are offering affiliate programs. CPA advertising is another great way to make money blogging. It is similar to AdSense in that it works through visitors clicking on an advert – but the visitor has to take a certain action for you to get paid. This might be as simple as providing their contact details or even just an email address. Have you ever seen these ads where you get a free laptop, or even a free TV, by clicking on an advert. When you click you then have to participate in a number of offers to get your free product. You often see such adverts on ‘Offer’ sites where you get a free product or even cash for participating in certain offers. These are CPA ads bundled together by the site owner. Frequently only a few of these are completed before the person gets sick doing them all – you can fill in a dozen offers and still not be finished. The advertiser still gets paid, and only rarely has to provide the ‘free gift’. However, you do not have to arrange your CPA adverts like that. You can display individual advertising images on your blog pages and posts, and get paid cash for every qualifying action taken. You will get paid every time somebody participates. CPA is usually about providing leads – or sign-ups for free offers and trials. You don’t need to worry about this – all you have to do is place these adverts on your blog and wait for the cash to flow. Monetizing a blog is as easy as that. If you make nothing – so what? You lose nothing and can switch to another set of CPA ads and so on until you hit on something that your readers like. You can make a decent income by publishing CPA ads on most of your blog posts. Add one or two AdSense blocks and you can genuinely make money from blogging. 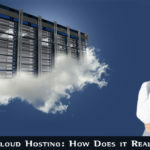 Note: MaxBounty, PeerFly and Clickbooth are three of the best CPA networks online. There are many ways to make money blogging, and those discussed briefly above are the main ones and the most popular. They are tried and tested and they work. The most popular are AdSense, CPA advertising and affiliate marketing, because once you have placed the adverts you can forget them. Direct advertising space or sponsored posts means that somebody else will have a close eye on your blog and your blogging capabilities. They will be looking for page views and checking out the quality and frequency of your posts. They will be reluctant to pay if you are not attracting enough new visitors to see and respond to their advertising. Sometimes you will find third party advertisers interfering with the way your run your blog – you never have this issue with adverts that pay only when certain actions are taken (click, make a sale or provide contact details) because it costs nobody anything until the action is taken. 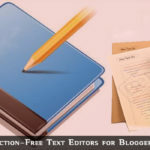 Professional bloggers know how to attract new readers, and also about the best type of advertising for their blog. You will eventually become as knowledgeable as they are, and fully understand how to monetize your blog. Until then you should try one the above ways to make money blogging. It is fairly simple to make money from blogging, but to make enough to make it your sole source of income takes time, experience and knowledge.